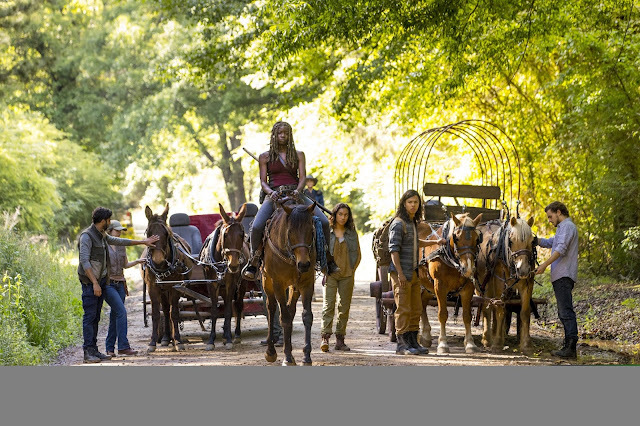 South Africa’s premium entertainment streaming service, black, is bringing the much-anticipated Season 9 of The Walking Dead at 20:45, from 8 October on FOX Channel 201. The new 8 part season of The Walking Dead, available for subscription on FOX through black, follows the survivors a year and a half after the end of the war as they rebuild civilization under Rick’s leadership, but nothing quite prepares them for the coming plot twist. Subscribers can catch up on seasons 1 to 8 of this renowned series on FOX+ exclusively available to black viewers in South Africa. To ensure an uninterrupted entertainment viewing experience, Cell C in partnership with black continues to provide free unlimited data to stream content on black and this means viewers can binge watch without any data charge for content consumed on the black platform. Cell C has also bundled black into several of its Media Play plans. “We are very excited to be at the forefront of innovating the way people consume content, not only do we give our subscribers the latest content, choice to create their own bouquet, manage their own viewing patterns and pay for exactly what they want to watch but they also get free unlimited data on Cell C to unlock a fresh viewing experience on the go on multiple devices,” said Surie Ramasary – Chief Executive: black. black is available on all South African mobile and internet networks and provides a combination of offerings including live TV channels, subscription video-on-demand (SVOD) and Rentals of the latest theatrical releases - transactional video on demand (TVOD). Viewers can enjoy the latest movies, series, sports, news, reality and music on the go or in the comforts of their own homes starting with the upcoming ninth season of the Walking Dead.